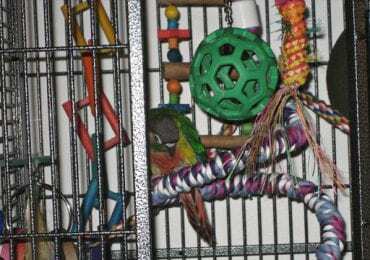 Though there are many hutch manufacturers on the market, most indoor hutches feature a uniform design: a plastic bottom, curved sides to keep urine in, and a wired top. However, nowadays, there are other interesting models available, from all-plastic hutches to wire cages or glass pens where you can place your bunny to play. 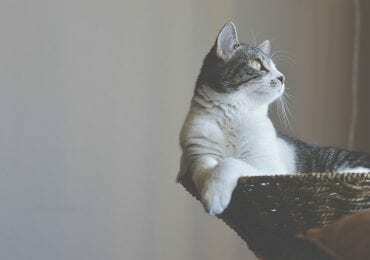 This article looks at the best indoor rabbit hutches, playpens, and cages available on the market today. 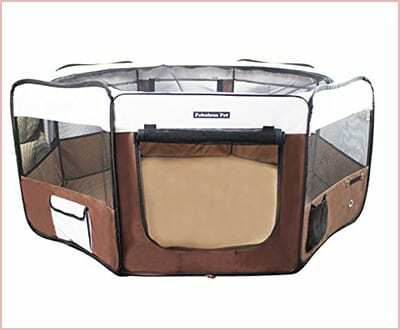 This playpen from Kaytee comes with a large mat that helps keep the area mess-free. The wire panels are quite high (9 inches), so your rabbit won’t be able to jump over them. They are also brightly colored, so they are more attractive for your pet. 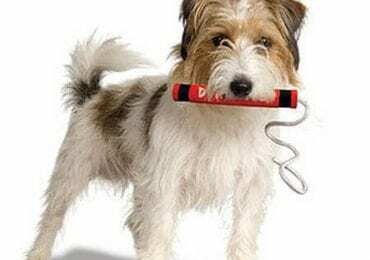 Also included in the package are a secure locking cap and passageway connector that you can use with CritterTrail homes. If you want to store the playpen away, you’ll be happy to know it is easy to break down and fold. Tespo has designed a playground for your bunny. 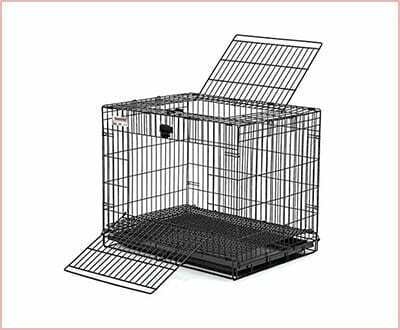 It offers enough room for your pet, while still ensuring security within the cage’s boundaries. The wire cage has an open top, and it collapses when not in use. With its quick DIY assembly, you are able to get started within minutes. If you have more than a couple of bunnies, the Tespo playpen is customizable and expandable to accommodate them. The cage comes at a great price, and is available for sale online. While this unit works as an indoor rabbit hutch, it is large enough and sturdy to work as an outdoor hutch too. The unit is designed with four strong caster wheels that make it easy to transport from one area of your house to the next. It collapses for easy storage when not in use. The wire top snaps into the plastic bottom easily. To keep your bunny busy and happy, the hutch features a ramp and a second platform. It is recommended for those who have playful bunnies. You can easily access the unit through the top and the front doors. For indoor use, the hutch looks elegant. If you are looking for a large indoor hutch for your bunnies, this can be an ideal choice. It is a four-level hutch designed with shelves and ramps. The hutch also features a slide out tray for more convenience. It sports a durable plastic bottom with a powder-coated wire top. The bar spacing is one-inch thick, making it ideal for young bunnies. It features four sturdy caster wheels for ease of transport. Given its large size, the unit is recommended for those who have more than a single bunny. 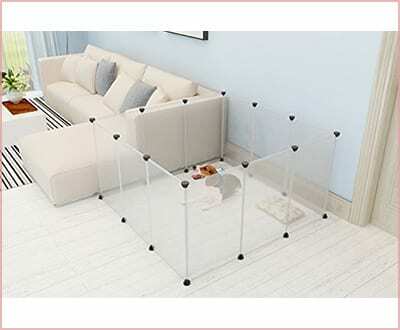 The KOUSI playpen is a glass playpen designed for small and large pets. It is a 28 square feet enclosed area for pets. It features black steel wiring, keeping the unit sturdy. 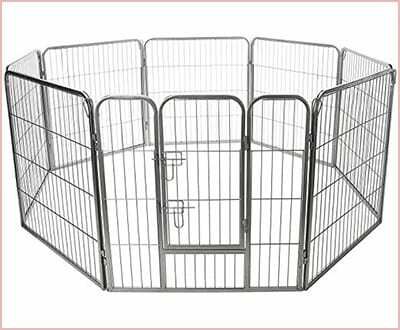 The playpen is large enough to accommodate a couple of bunnies, and you can even use it for small dogs. It is easy to assemble, and easy to fold for storage. The unit is customizable, and you can connect it to other units. Even better, the unit is movable and durable. This is a heavy-duty, tubular, steel stand designed with a plastic base. The unit is sold with a ramp and a platform, allowing your bunnies to play while in the house. The extra deep plastic bottom contains the mess from your bunnies. It sports caster wheels, making it easy to move. This unit is large enough to accommodate large bunnies. 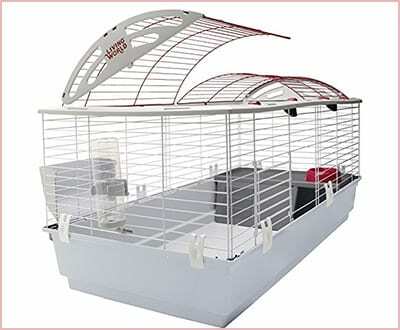 We recommend it if you are looking for an easy to assemble, large, and durable indoor cage. 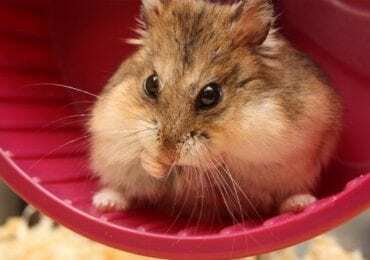 This is a compact indoor pet cage designed to last a long time. The unit sets up in no time without the need for any tools. Its box design makes it easily accessible through the front and the top door. It comes with a secure slide latch that you can easily operate with one hand. The unit features a slide out and a clean front access plastic pan. The bottom mesh is narrow spaced to protect the hocks of your bunnies. This is a fabric playpen for your bunnies. The transparent sides will ensure your pets get enough light and interact with the surrounding. 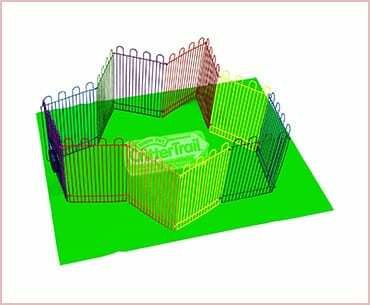 It is one of the best indoor rabbit pens on the market. 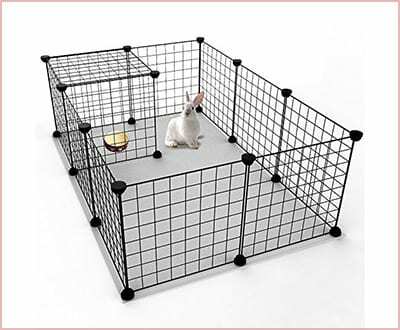 The Fabulous Pet portable play pen features a removable top, while the floor is intact to keep your bunny locked in. It is expandable, and sets up in a matter of seconds. The unit is offered with upgraded zippers that make it secure. 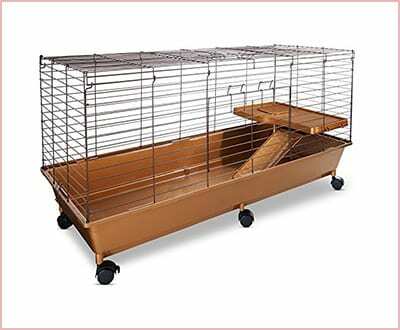 When you need a cage to put your bunny in for a few minutes, and then get it back to its hutch, this is the ideal unit. It is an octagonal cage with no top and no bottom. This means that you can only use it in a place where you won’t mind the mess from the bunny. It collapses with much ease for storage, and also sets up quick. The unit sports a rust-resistant coating, enhancing its longevity. You can use it indoors as well as outdoors. If you are looking for the best indoor rabbit hutches to keep your bunny in permanently, the Living World Deluxe Habitat offers everything you need to safely and comfortably house your pet. It is a hybrid cage that has a wire top and a plastic bottom. This keeps it warm and well-ventilated. The cage also features a balcony with an access ramp. There is also a food dish that secures to the floor of the balcony. The unit is only available in 3 sizes. If you are looking for the best indoor rabbit hutches that will give you value for money, you might like this hutch. It features a simple, but sturdy construction, with a wire top and a plastic bottom. 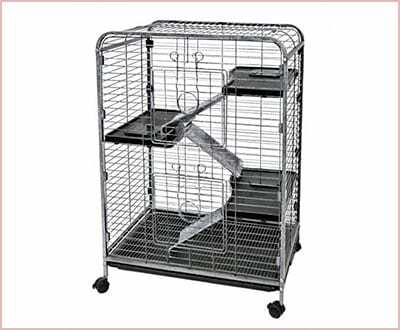 Though designed for guinea pigs, the Guinea Habitat Cage comes handy as an indoor cage for your rabbits. It is designed with a top and front access, with simple one-hand latches. This unit is recommended for all types of rabbits. 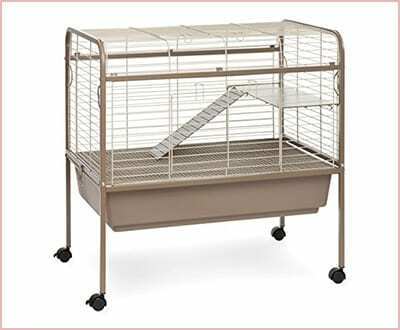 When choosing the best indoor rabbit hutches, pens, or cages, keep in mind your pet’s needs and your budget. 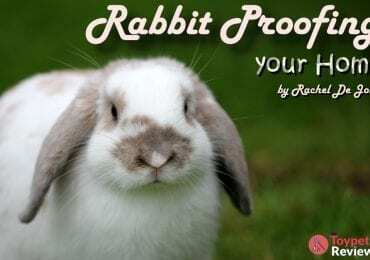 While the units in this article feature different materials and are available at different price ranges, they all have one function; to restrict your bunny and keep it safe. 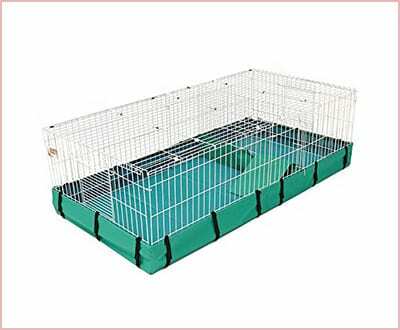 You may also want to take a look at our review of the best guinea pig cages, as some of those units work perfectly well for rabbits too. Share your thoughts on the best indoor rabbit hutches, and help someone choose the best unit.